When Leo and Gina Ruiz found out their second child was going to be a baby girl, the normally-thrilling news was laced with ill tidings. 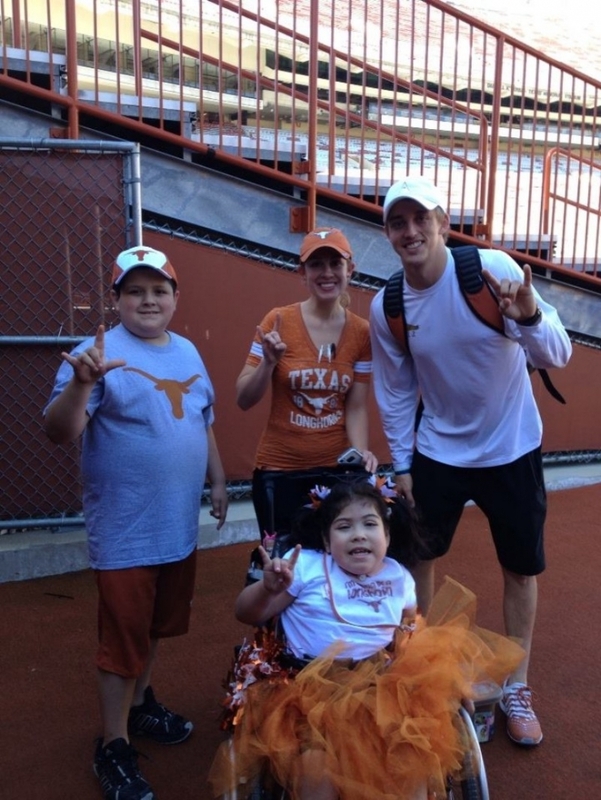 The ultrasound revealed she would have spina bifida. A second opinion later confirmed that Faith would also have Type II Chiari Malformation, a condition that experts are still unsure of its rarity. That has ultimately been her biggest challenge because it has severely affected her ability to breath and process stimuli. Faith Ruiz was born on October 8, 2007. From day one, it wasn’t going to be easy for her. 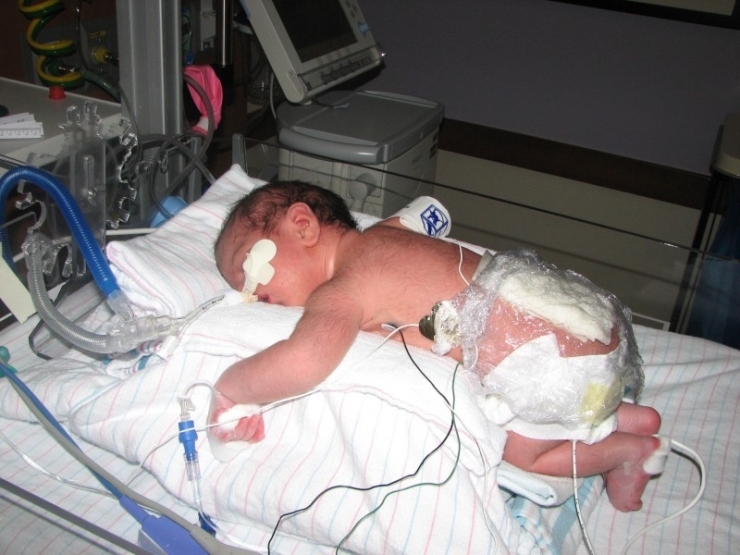 Prior to her birth, doctors insisted that Gina stay in a hotel near the hospital because Faith was such a high-risk baby. There was a team standing by to deliver her. After the delivery, Gina didn’t get to see her daughter for 5 days. Leaving the warm, nurturing environment of the womb is one of the most traumatic experiences in every person’s life. 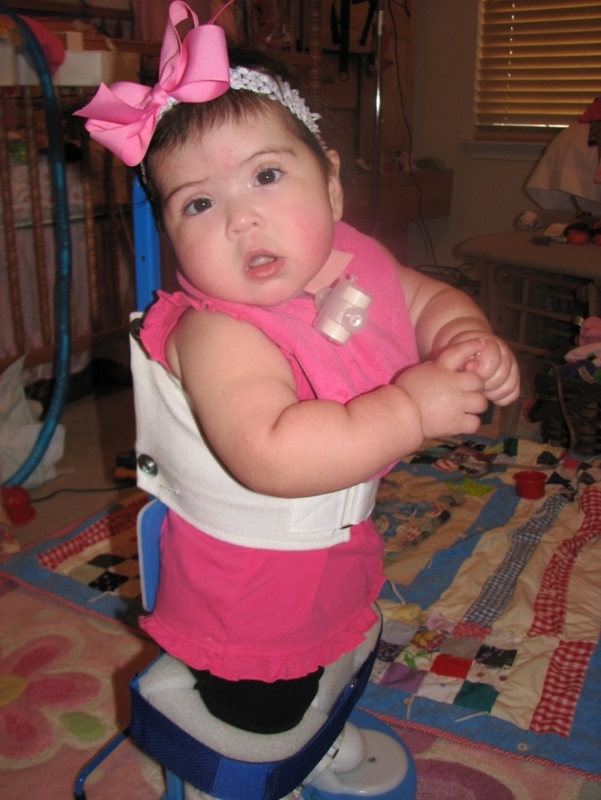 In Faith's case, she was immediately transferred to another hospital where she underwent two long, intense surgeries to close the opening in her back, a common trait of newborns with spina bifida. Faith’s first 7 months were the opposite of the proverbial picnic. 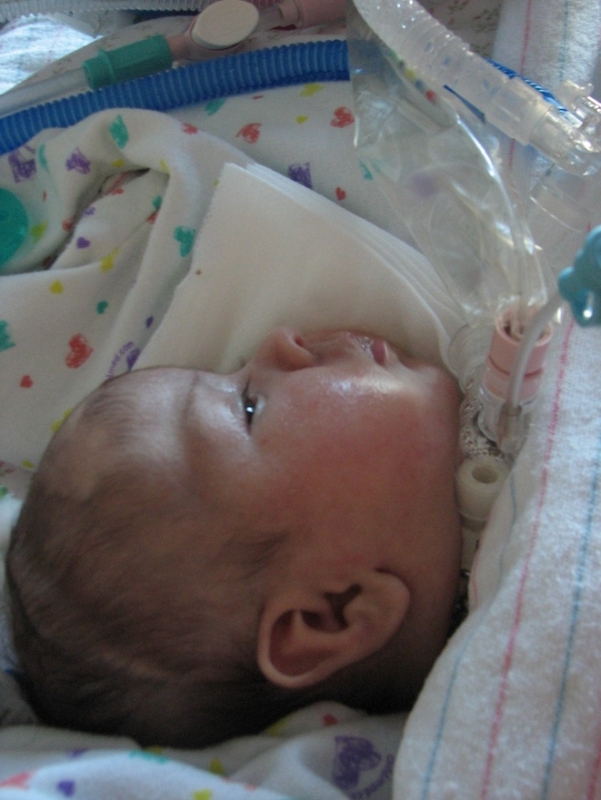 She spent them in the neonatal intensive care unit (NICU). From the start, she began defying odds and expectations. “Faith writes her own book. She is the opposite of what the doctors were taught,” Gina explains. 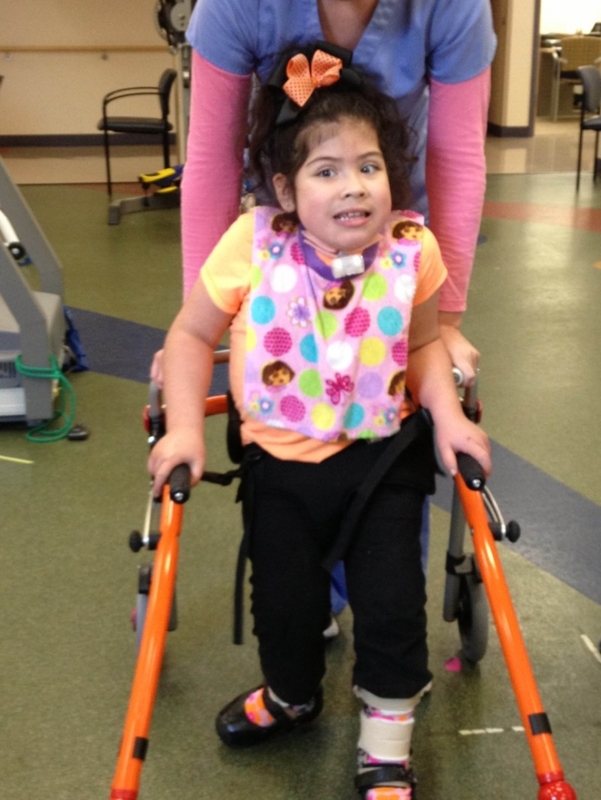 Properly treating Faith has been a steep learning curve for her doctors, nurses, and family. With Type II Chiari Malformation, Faith’s brain is shifted downward through the base of the skull. She has had 3 decompressions and her top 2 vertebrae removed to ease the pressure. Her brain stem doesn’t know how to handle changes in her body or surroundings. For example, if there are loud noises around Faith, her brain stem will focus its limited resources on the noises. Faith will then forget to breath and pass out. Leo and Gina have to literally act as Faith’s brain stem for her by telling her to remember to breathe. This is a 24/7 gig. 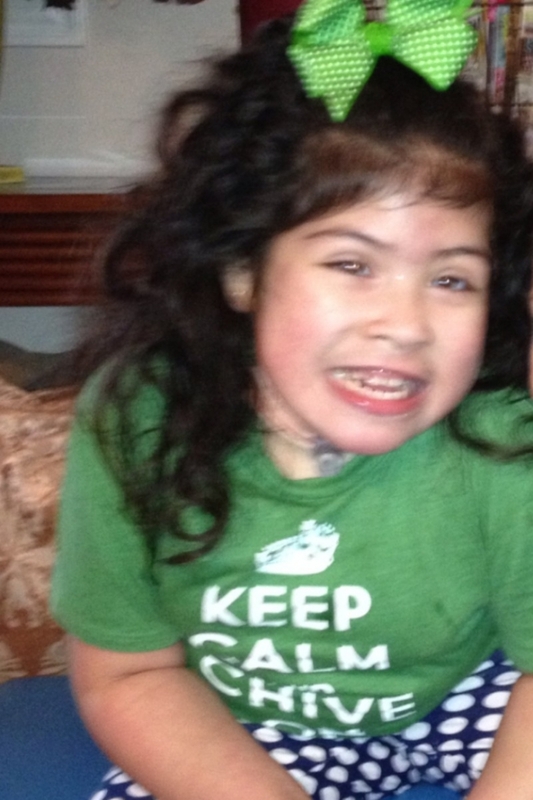 However, despite all the complications that come from Type II Chiarai Malformation, Faith is a cognitive, bright girl. Doctors have confirmed that even after several near-death events, miraculously she has no signs of brain damage. 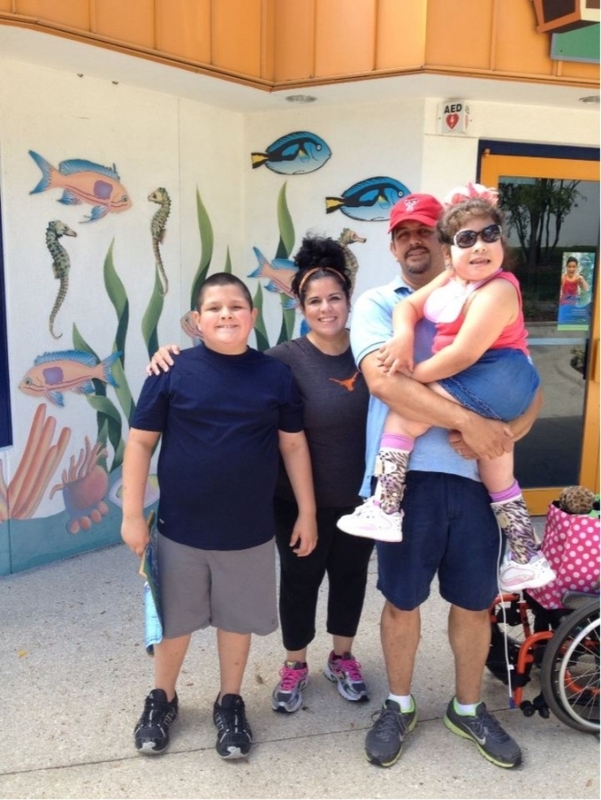 Not surprisingly, Faith’s medical bills have taken a financial toll on the Ruiz family. Their health insurance didn’t last long. Faith maxed it out in just the first 2 months after she was born. Leo was laid off. Twice. Their electric bill alone is $500 a month due to all of Faith’s equipment. 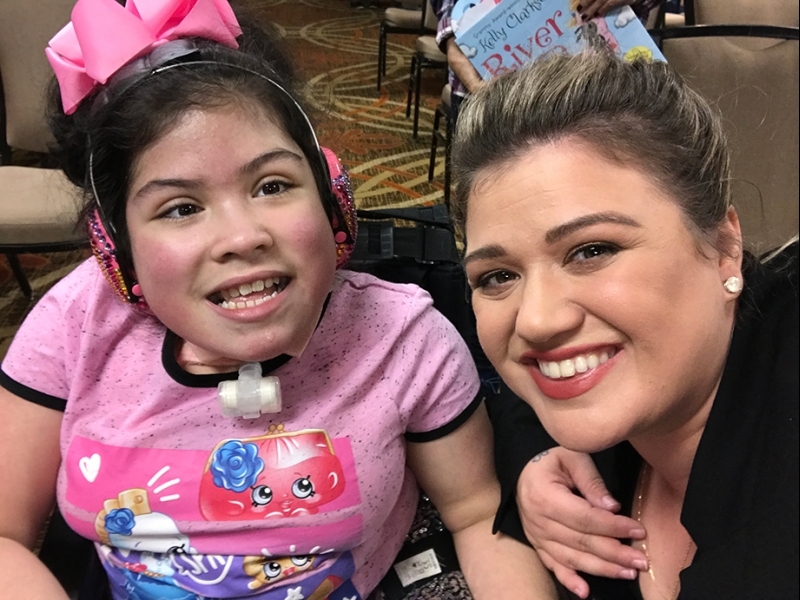 They have a 24-hour nurse because there must always be two trained adults with Faith in case she has an event, such as the one that happened on the Texas highway. Gina frequently takes Faith to 21 different specialists. 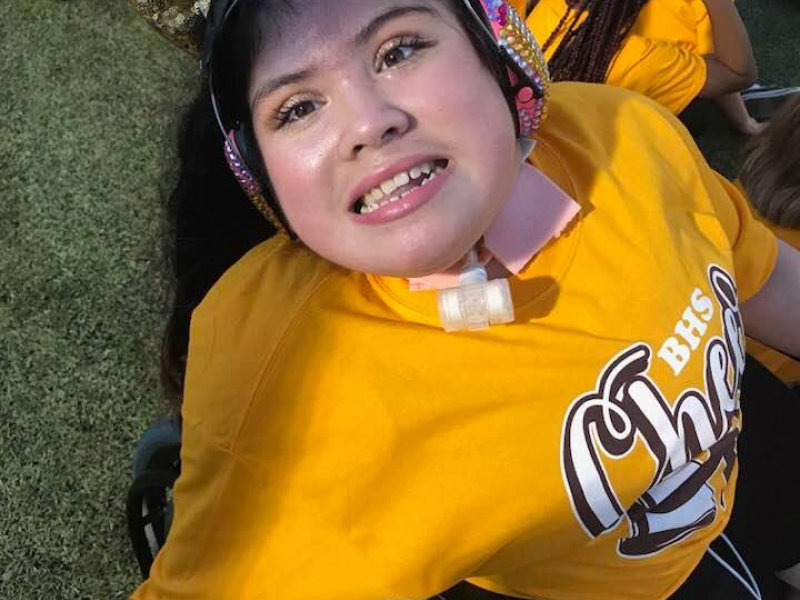 Faith has 3 days of speech, 3 days of occupational therapy, 3 days of physical therapy, as well as 3 days of homebound education that is provided by the school district. Taking care of Faith is a physically and emotionally demanding full-time job for Gina, which means the family must rely solely on Leo’s income. And on top of only one income, Leo took a pay cut in order to secure a better health insurance policy. This is where the continued generosity of Chive Nation enters the story. 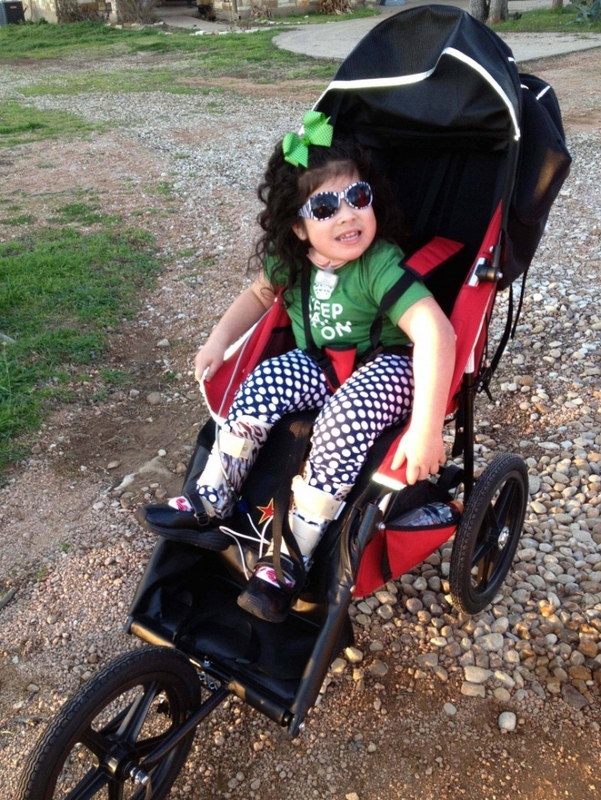 Thanks to donations from Chivers, today the Chive Fund provided Faith's family with a $25,000 grant that went to much-needed physical therapy equipment which is helping Faith with her goal of being able to walk. Due to her condition, Faith doesn't really have friends her own age. All her friends are adults. When I spoke to her on the phone, I noticed her interests tend to be more grown up. We talked about tennis and fashion, which she loves. Her favorite colors are orange and yellow, which appropriately represent her bright personality. She also loves zebra and leopard prints. She dreams of one day going to New York because of its fashion. 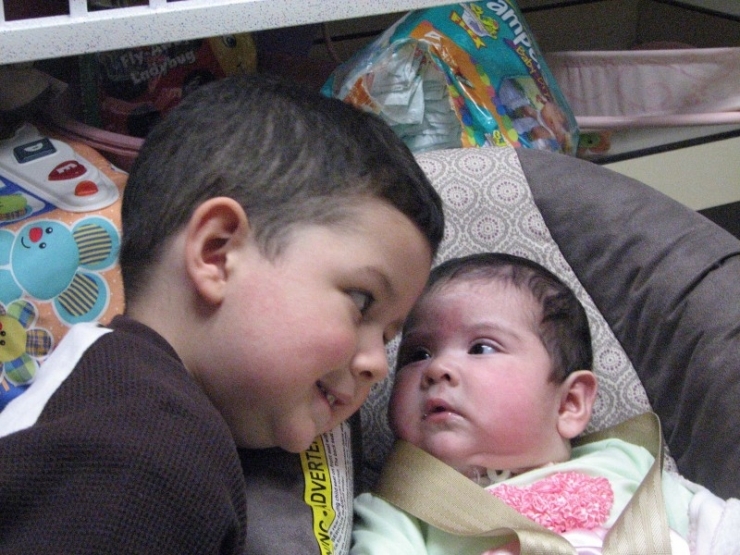 She looks up to her big brother, who is very protective of her. At only 9, Ryan holds family meetings to address issues surrounding Faith. After multiple near-death events, her specialists have confirmed that miraculously Faith has no signs of brain damage. 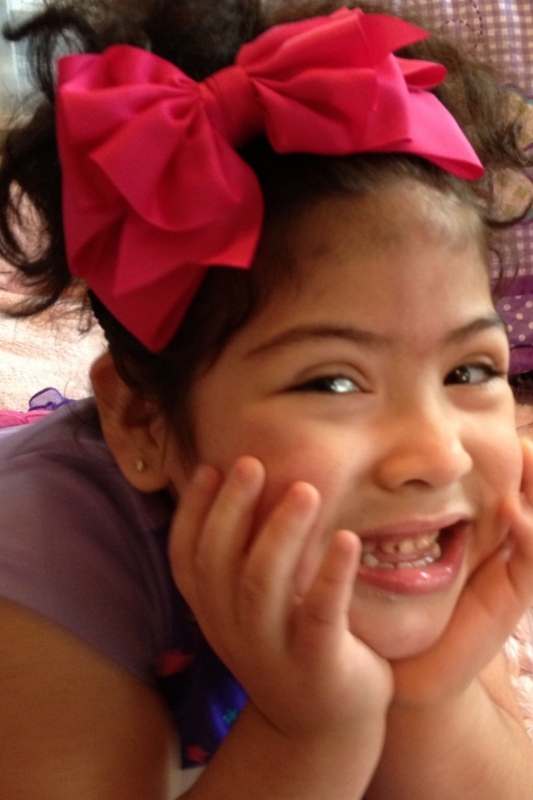 With 42 surgeries and procedures under her belt, Faith can still always be found with a smile on her face. Thanks to the Chive Nation's continued support of Chive Charities, the Chive Fundprovided Faith's family with a nearly $25,000 grant. The grant helped purchase various items such as a mobility stroller, a specialized monitoring bed, and physical therapy equipment. 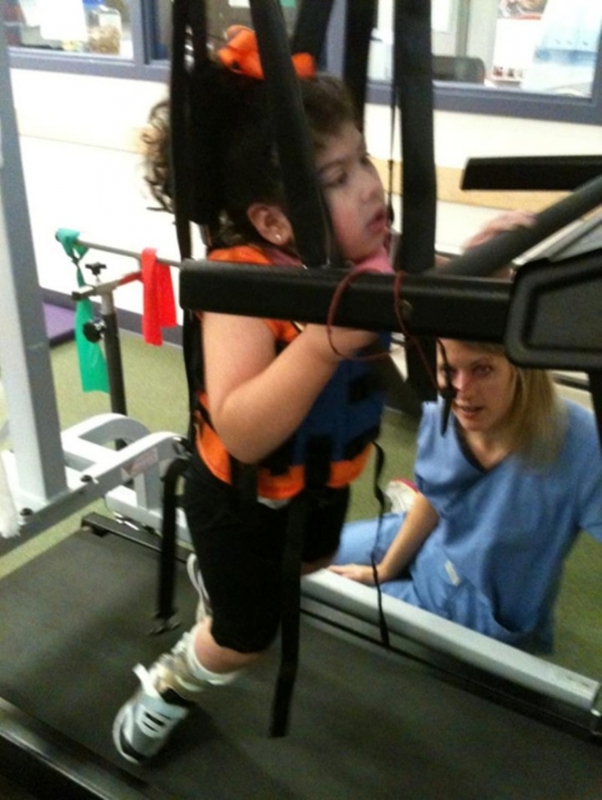 Faith on her sophisticated treadmill that is helping her learn to walk and maintain balance. Faith is a fighter. She has no intention of letting her condition hold her back. She has declared in no uncertain terms that one day she will stand, walk, talk, and eat just like everyone else. 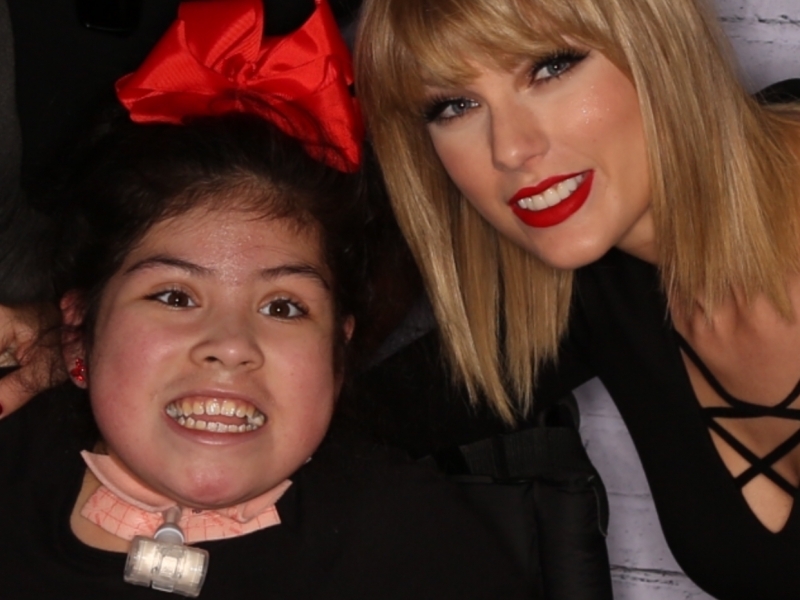 She doesn’t want a wheel chair, because that is like giving up. 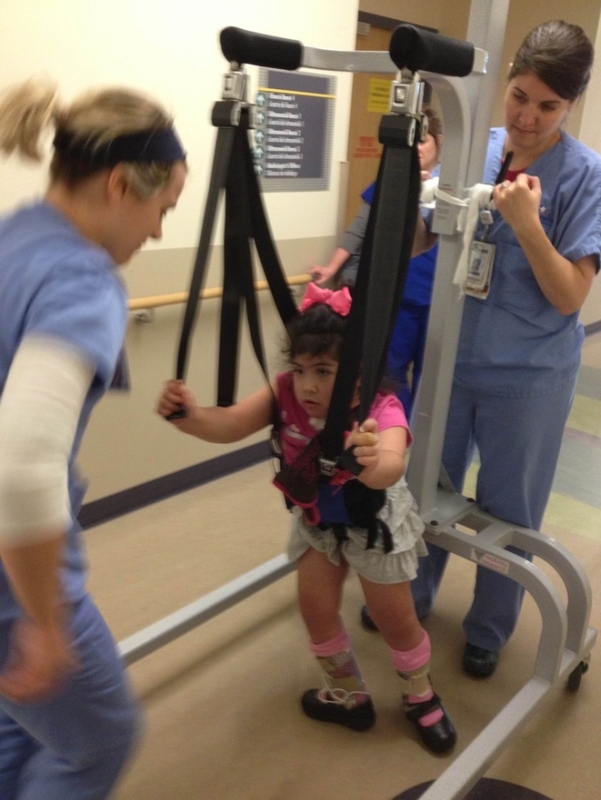 Walking is a huge challenge for her, but Faith wants to work. 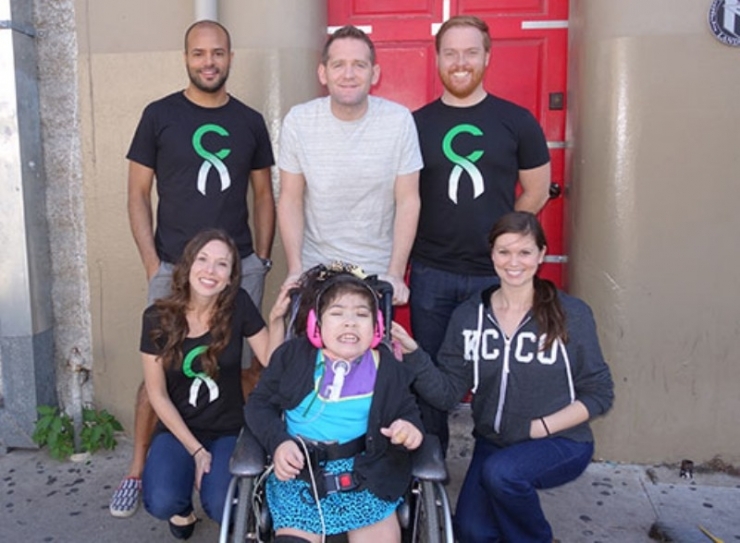 Today, the Chive Community has helped an ambitious and determined little girl. From day one, life has been a struggle for Faith. But Faith has embraced and overcome each struggle with a smile. With your help, we have given Faith a reason to keep smiling so brightly.